HUNTINGBURG -- Two people are in jail today on drug and other charges. Huntingburg police stopped a vehicle early Wednesday morning on a tail light violation. While checking the driver’s information, officers say they discovered 29-year-old Harley Smith had a warrant out of Orange County. During the arrest, police say they found meth, marijuana and paraphernalia. 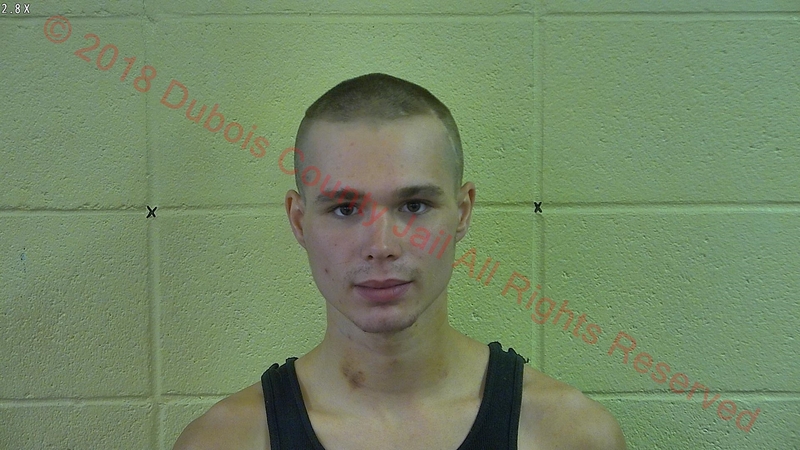 A passenger, 18-year-old Sefan Yocum of Kentucky is charged with possession of those items. He’s also charged with false identity statement and false informing. A juvenile was also in the vehicle. That minor was released to a parent. Smith is being held on that out-of-county warrant. Yocum is lodged in the Dubois County Security Center.